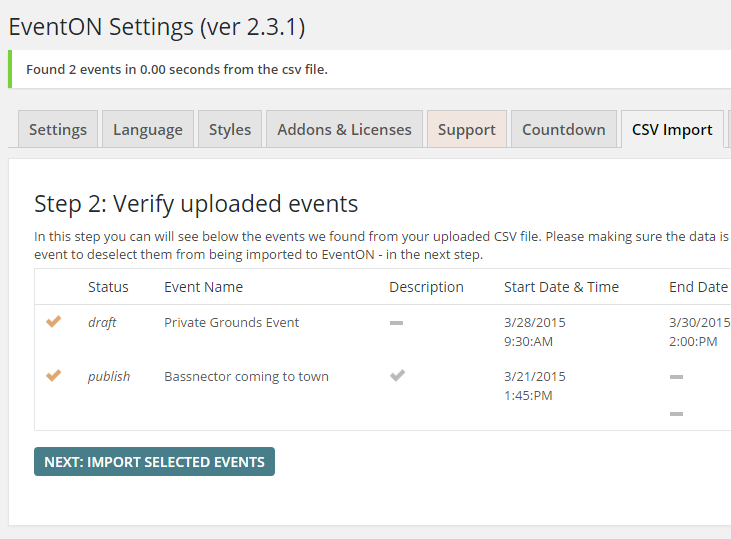 Several people (as this moment) have had trouble trying to import events using CSV importer. The fact of the matter is it indeed works. 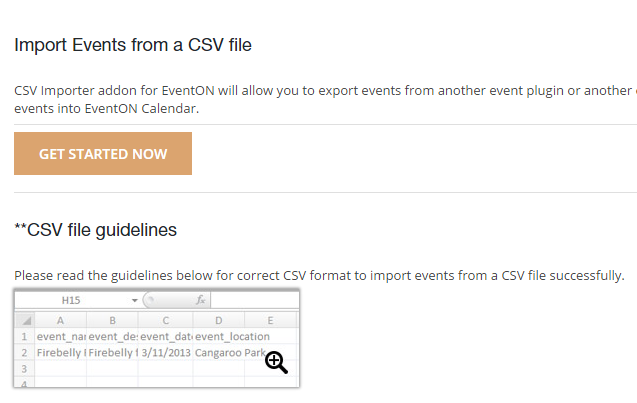 If you go to myeventon> CSV Import you can see the guidelines button click this to see all the supported data and the format they should be. Pay special attention to time and date format. 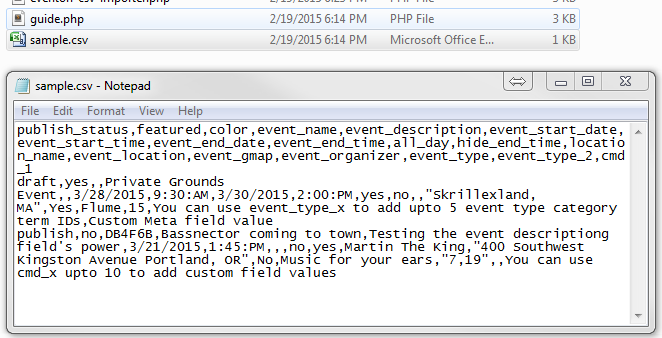 If you have 300 events in your CSV file and does not work, open CSV file in excel or other CSV file editors and remove parts of those data until it works. eg. If the CSV works after you delete data upto 9 lines of data, that means after the 9th line you have either entered incorrect format for data or there are unnecessary commas separating data. This is very tricky – you have to pay very close attention to the data entered. Because an extra comma or 2015 written ad 15 for the year can simply make the events not go through in the importer. Once you fixed those issues the Importer should work as it does for us and so many others.